The full question was Are chiropractors allowed to practice in hospitals or use medical outpatient facilities? I think the real question is, why don’t chiropractors work in hospitals. The answer is, some chiropractors do practice in hospitals, though they are few and far between. There are none here in Utah were I practice. Chiropractors have in their scope of practice the ability to order lab tests, MRIs, etc… Hospitals and labs across the nation honor this, and will perform medical outpatient procedures for chiropractors. Doctors are trying to get out of hospitals. Hospitals tell you how you can practice even more than insurance companies do. They set your income, rather than your earnings being determined by your efforts. They set what you do and how much you will be paid for it, they are a business after all. Politics of the past, medical doctors and chiropractors did not get along well. We are very near the end of that era, but there is still some animosity between the older generation on both sides, and it sometimes will trickle down into the younger doctors. That inhibits some from joining forces. Hospitals don’t really know what to do with chiropractors. They have a structure, and chiropractors don’t fit well into it. Even if we did, they don’t know what we can do, or how to bill for it. It would take some effort to integrate a chiropractor into a medical system, and there aren’t really many models to work from. Hospitals are always looking to improve patient satisfaction. Chiropractors have the highest patient satisfaction rating in healthcare. A way that we can improve that rating for a hospital is by offering relief and improvement where previously there was none. The two places I would begin is in the Emergency Room, and the Women’s and Children’s department. The ER sees many cases where people just want to make sure things are not life threatening. The prime example is a car accident. Even if you don’t feel really bad after an accident it is a good idea to get checked out, just in case. When the ER finishes it’s tests and finds nothing broken or bleeding they usually send you away with serious pain killers to cover the pain of your “whiplash”. These are the kind of things that chiropractors deal with all of the time. We can reduce the healing time, and treat the issue without masking it with medication. The same kind of thing is important for expecting mothers. They visit their OB in the hospital for their back pain. There isn’t much that they can take, medication wise, due to possible effects on the baby. This leaves the doctor with few options. Chiropractic is a proven medication free treatment that can relive the back pain of pregnant patients. Hospitals can be a great help to chiropractors also. There are many times that chiropractors will find something that needs to be treated, but the pain that the patient is in is too much to allow chiropractic manipulation. Muscle relaxants and pain medication in these situations can allow a chiropractor to perform the needed procedures. Not to mention the many illnesses that chiropractors find that are out of their scope for treatment. Being in a hospital would allow them ready access to the best person for the job. 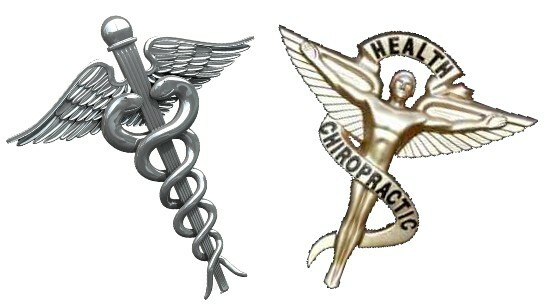 I think that hospitals incorporating chiropractic would be a great synergistic relationship. I hope that Utah hospitals will soon be open to this kind of opportunity. Things would improve, even if they just set up a working relationship with each other. They don’t have to be in the same building. This entry was posted in Chiropractic in General, Politics & Chiropractic, Pregnancy & Chiropractic and tagged auto, car accident, Chiropractic, chirorpactor, Hospital, medicine, Pregnancy, relationship on June 12, 2008 by cmnacnud. Anything is better than treating the symptom. Matthew are you referring to MD’s, lol?… Because it’s the MD that have trouble treating musculoskeletal problems. It seems that there’s no pill that treats (yes treats not masks) the back or neck. While surgery can’t be done every time someone has back or neck pain. So if you think about it, do MD’s really do a lot about these problems unless they are traumatic and/or require surgery? PS: Don’t get me wrong, there’s plenty of health problems MD’s treat well (pretty much everything that is treatable today), but as I said there’s no pill that just fixes your back… Sorry! great article! I am currently a Chiropractic student, and i hope to one day see chiropractors integrated more into the hospital system. Its a great way to treat the problem at the source, instead of cover up the symptoms (ex: pain killers) and it a treatment the wont leave a patient in recovery for a period of time (as in surgeries). Alright q1w2, just because chiropractors lobbied to have a “doctorate” program by no means proves anything. The fact of the matter is that there is essentially no evidence that chiropractic has any benefit. It’s a pseudoscience. There is good reason that universities don’t have chiropractic schools: it would tarnish their reputations as truth seeking institutions. If chiropractors want to work at hospitals than we might as well allow homeopathy, and phrenologists to practice there as well. I’m pretty sure that you don’t follow my blog regularly. If you did, you would see that I provide links and citations for the scientific evidence behind my discussions. In fact chiropractors aren’t the only ones finding evidence in support of chiropractic. The Journal of Human Hypertension recently published and research is ongoing regarding why, apparently chiropractic affects blood pressure better than medication. And here’s the link to the University of Chicago medical center article on the topic. Professional Orthopedic, Physical Therapy and Osteopathic journals regularly report on the science of chiropractic; and sometimes the evidence even shows that there are things that chiropractic does not work for. 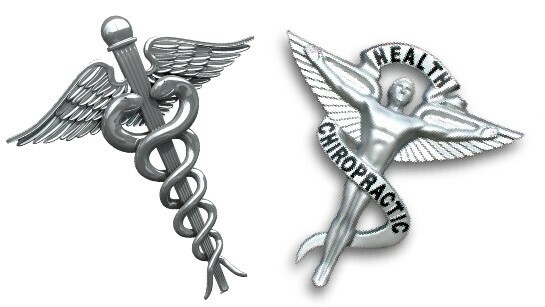 Chiropractic and pre-chiropractic programs are offered in many universities here in the US and worldwide. The University of Bridgeport in Connecticut and the University of Murdoch in Australia are two great places to begin investigating the topic. Bridgeport in particular offers over 50 different undergraduate and graduate degrees including a Doctor of Chiropractic degree. Murdoch has over 18,000 students and 14 different schools from business to law, and biomedical to chiropractic. I would also like to add a little bit to this blog post. Since the time of this original post I was recruited by the US Navy to work in a hospital in Florida. I am among 80+ chiropractors working in hospital settings within the DoD. Many hospitals outside the military have seen the scientific evidence for chiropractic and have chiropractors on their staff. In fact most hospitals now either have chiropractors on staff or at least allow them hospital privileges to utilize their facilities. I am representing my own opinions in these statements and am in no way speaking on behalf of the DoD or the US Navy. you are obviously biased. If were to look at the facts instead of spouting off random thoughts you would know that the curriculum for a Doctorate degree in Chiropractic and that of conventional medicine (MD, DO) are very similar, in fact Doctors of Chiropractic medicine get more training in human anatomy and physiology. So we did not lobby for a doctorate degree, it has been earned and proven effective through science.